José is Dean of the School of Design and Technology at London College of Fashion, UAL, and Professor of Fashion Theory. 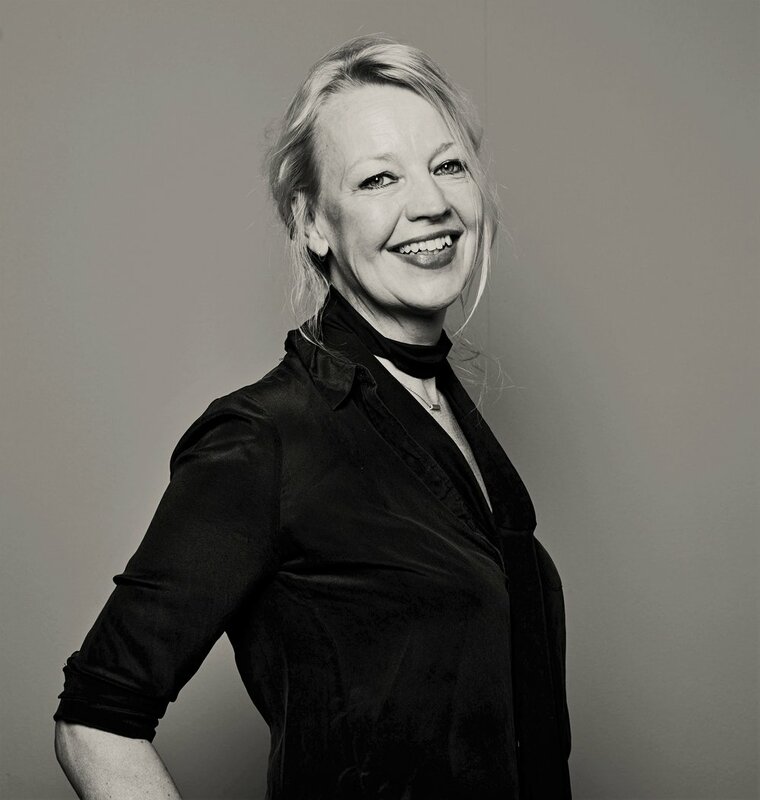 She also curates the Fashion Biennale Arnhem 2018 State of Fashion: Searching for the New Luxury (1 June - 22 July 2018), and is a visiting Professor as ArtEZ. José was one of the first Professors in the Netherlands to conduct research and develop theory in the field of fashion (2002, ArtEZ). In 2008, she set up the Netherlands Organisation for Scientific Research (NWO) research project National Identity in a Globalised World, working closely with Radboud University Nijmegen and other universities of applied sciences. Image: Linus Sundahl-Djerf, for the Centre for Business History in Stockholm. Ben is Professor of International Business History, at the ESHCC Erasmus University Rotterdam and a Appointed Project Professor Graduate School of Economics Kyoto University. He is engaged in various research projects related to multinationals, business systems, transnational economic regions, Dutch-German economic relations, and the transnational fashion industry. In 2013, his Anglo-Dutch-Norwegian consortium received a HERA II grand to do research into the transnational connections of Fashion industry since 1945. At the Erasmus University he started a subproject: Building brands and fashion fairs. Transnational networks in the fashion industry in Europe which explores Fashion Fairs and Fashion Prediction Companies in Europe after 1945. With Regina Lee Blaszczyk he edited The Fashion Forecasters: The Hidden History of Color and Trend Prediction (London: Bloomsbury Publishing 2018). Maaike is Professor of Religion and Gender at the Radboud University Nijmegen and studies the interaction between religion, culture and gender in the broadest sense of the word. She investigates to what extent religious or spiritual motives, questions and dimensions can be recognized in human activities and forms of expression (from cooking to art) and if and how these can be critically related to religion and religious traditions.She is also interested in the role and function of both religion and gender in contemporary political and public debates on a.o. migration, race, emancipation, secularism. Mariangela is Assistant Professor Cultural Economics at the ESHCC Erasmus University Rotterdam. She is a member of ERMeCC, co-ordinator of the MA in Cultural Economics and Entrepreneurship, and co-founder and co-ordinator of the first academic Minor Fashion Industry in the Netherlands. Mariangela Lavanga's expertise lies in the analysis of the interrelations between creative industries and cities. She focuses on locational choices, labour market, mobility and entrepreneurship; fashion trade fair events as intermediaries and temporary clusters; local and global networks; sustainability and slow fashion. Adam is a post-disciplinary artist and designer working across fields of architecture, fashion, photography, product design, consulting, branding and fine-art. He is the founder of The Validation Junky, an experimental lens upon the complexities of contemporary digital consumer culture. Adam's design work includes projects for Heatherwick Studio & Amanda Levete Architects (Garden Bridge project & V&A Museum Exhibition Road Entrance) as well as design/ branding/ insight projects with Stella McCartney, Hugo Boss, Lyst, P&G, Audi Diageo, Converse and FIAT. He is currently also lecturer of Design Strategy & Future Related Design at LCF. Within this complex and transforming world Janne Baetsen presents MINDFASHION.today: a unique Voice & growing multi-disciplinary Plug-In [re]Framework for Fashion, by connecting different minds in - among others - Design, Psychology, Cultural Economics, Technology and Branding, and by focussing on human innovation, behaviour, experience and communication.
" I believe that fashion, when seen and valued as a powerful language and empowered by a network of disciplines, can stimulate collaboration and communication on today's issues including sustainability, 'fear of' change and technology, well-being, mental health, body-image and diversity." Flora is a young fine art photographer from Hungary. She uses exquisite photo manipulation to create surreal images that are thematically focused on identity, relationships, emotions and dreams. Her immaculate technique and subtle conceptual ideas create beautiful evocations of universal emotions, from lust and desire to despair and loss.Flora at once captures the complex strength and fragility of the human psyche. Her work often features the female body and she plays with hiding and revealing the eyes or face to leave only the feminine form, exploring questions of female representation and the relationship between body and self.